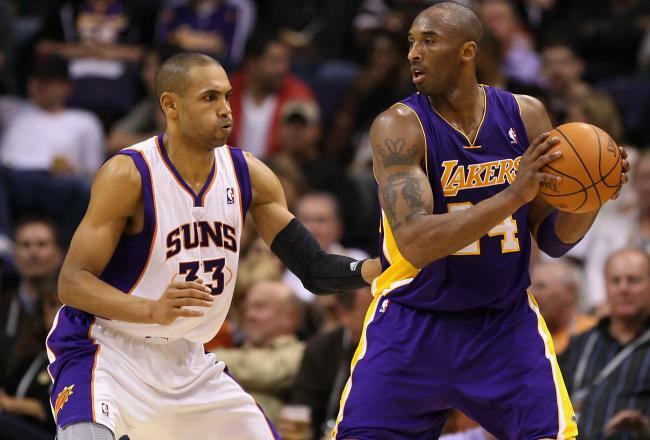 Grant đồi núi, hill defending Kobe Bryant. . Wallpaper and background images in the Los Angeles Lakers club tagged: los angeles lakers los angeles lakers nba basketball kobe bryant phoenix suns grant hill.